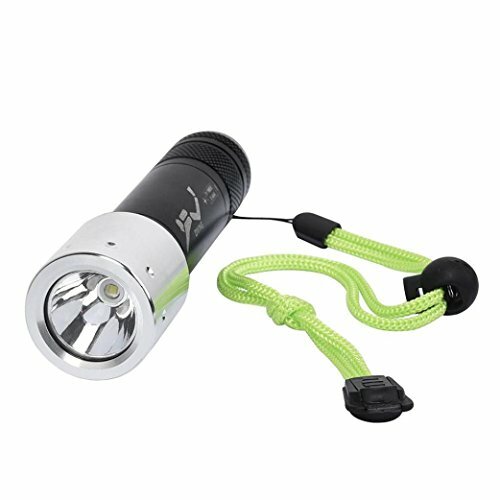 Tactical flashlight includes a high-efficiency and great output LED chip; It is a super bright torch with more than 50000 hours working life. 5 LIGHT MODES & ADJUSTABLE FOCUS: LED flashlight has high lumens, medium, low, flash/disruptor, SOS/emergency 5 modes in total; Zoomable function offers intense spotlight for long range observation up to 600 feet while circle floodlight for large area illumination. RELIABLE & PRACTICAL DESIGN: Flashlights body is made of solid aircraft grade aluminum alloy. Dependable skid-proof & water resistant design is for multiple outdoor use in adverse weather conditions. While safety hammer head design can be used in emergencies. MINI & PORTABLE：Length: 5.2in, Diameter: 1.5in(head). Taclight is small enough to fit in your pocket, handbag, or car compartment. You can take it with you wherever, whenever. It can be widely used for hunting, cycling, climbing, hiking, camping, fishing and many other activities. Also it is a perfect gift for friends, family members. If you have any questions about this product by UPLOTER, contact us by completing and submitting the form below. If you are looking for a specif part number, please include it with your message.